The Sept. 26 session of Thursday Morning Roundtable will feature Frank Lazarski, president of the United Way. TMR meets from 8:15-9:15 a.m. at Drumlins, 800 Nottingham Rd. 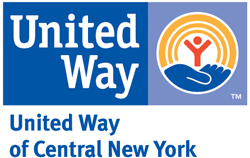 As president of the United Way of Central New York, Lazarski coordinates the largest annual fund drive to raise money for human service programs in Syracuse and Onondaga County, as well as coordinates volunteer programs and a variety of community initiatives, such as Success By 6. Previous to this appointment, Lazarski served as executive director of SYRACUSE 20/20, Inc. He is a part-time instructor at Syracuse University’s Maxwell School. Lazarski received a master’ degree in public administration from SU, and a bachelor of arts degree from Stonehill College. TMR is a community program of University College of Syracuse University. For further information, contact Sandra Barrett, director of community programs, 315- 443-4846, email cps@syr.edu, or visit www.uc.syr.edu/community/tmr. The TMR program is broadcast on WCNY-FM, 91.3 on Sundays at 8 p.m. and at www.wcny.org/radio/thursday-morning-roundtable.